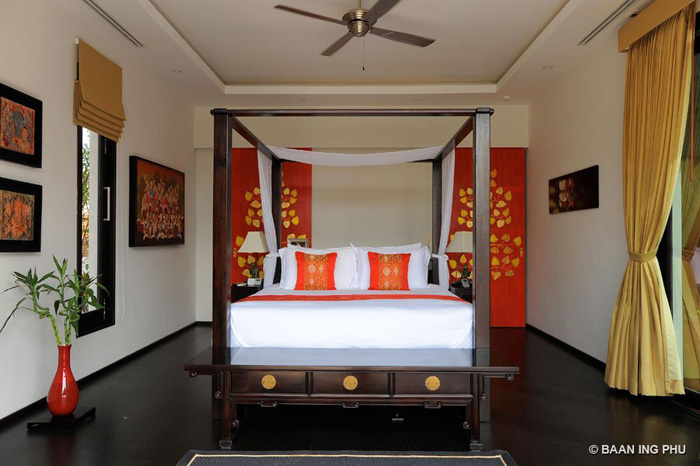 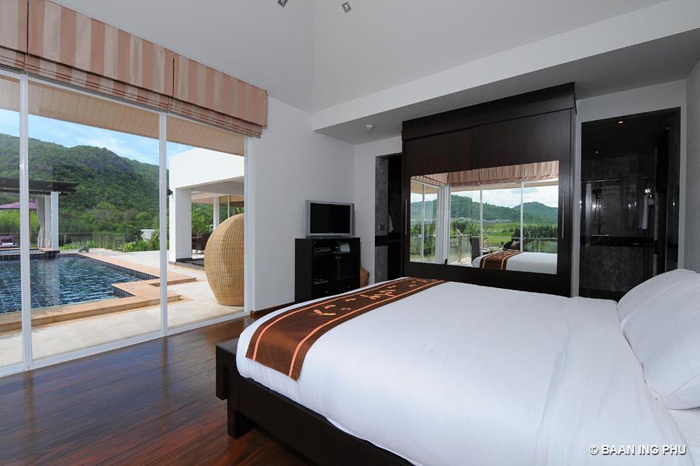 Baan Ing Phu is much more than a luxury private estate. 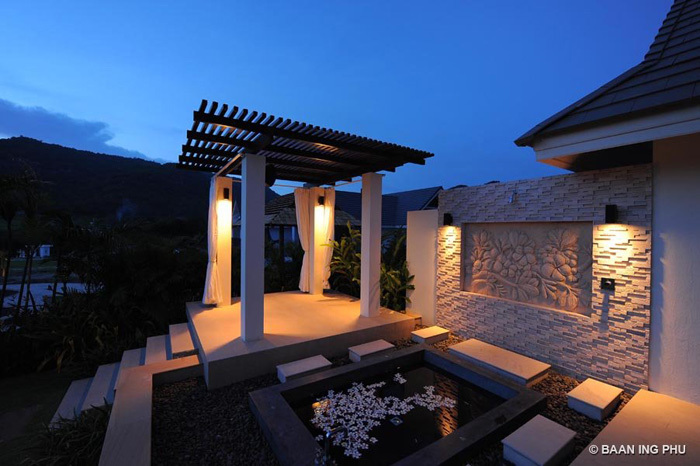 It's an extraordinary lifestyle that epitomizes relaxation and refined living for the few. 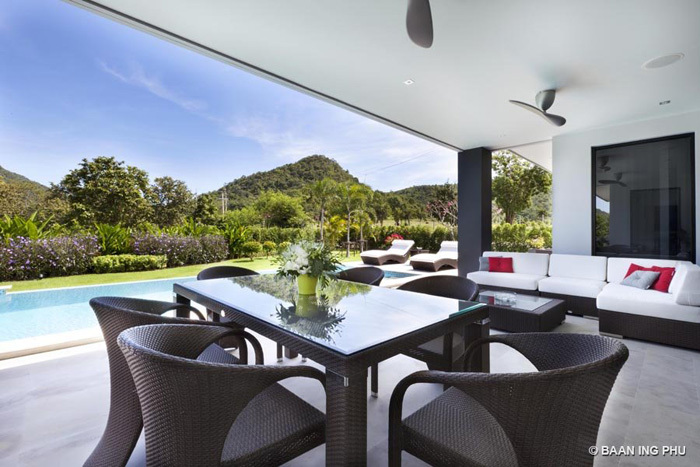 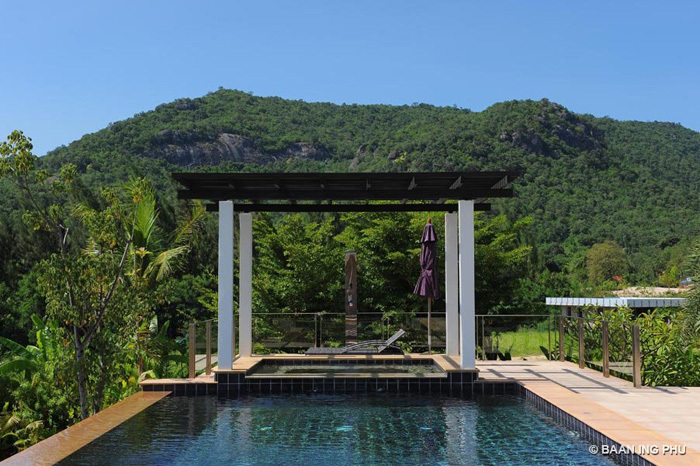 The estate is surrounded by stunning vistas of the neighboring Black Mountains in a quiet natural environment that is a short distance from the Thai historic resort of Hua Hin. 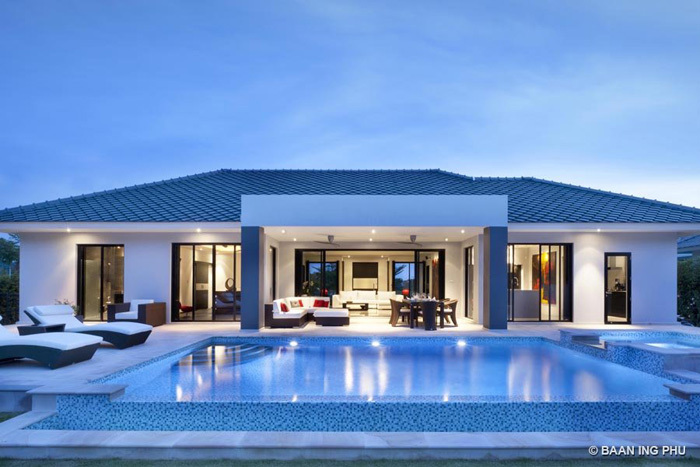 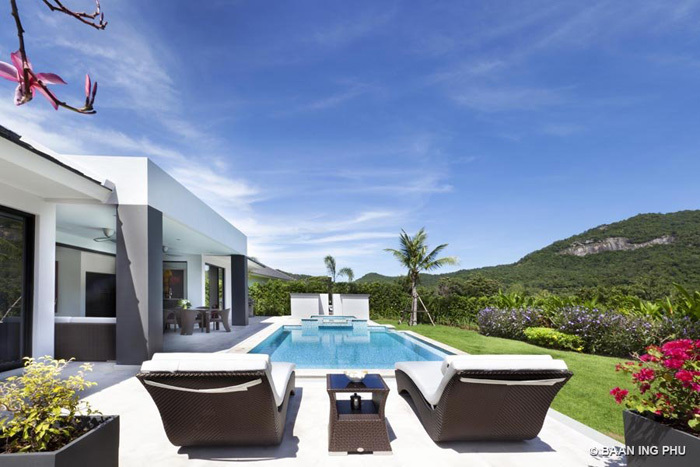 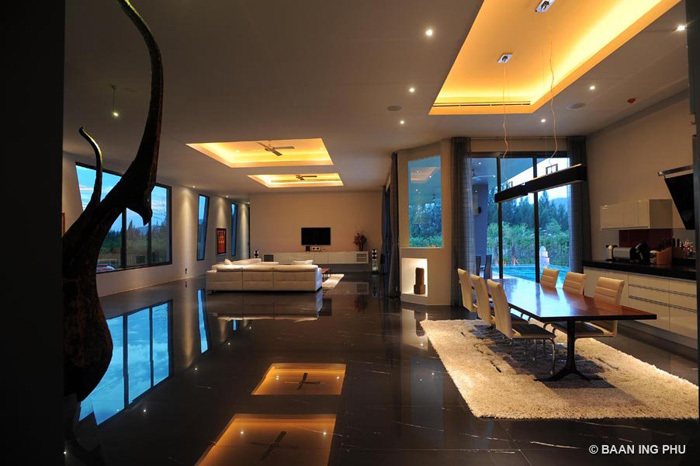 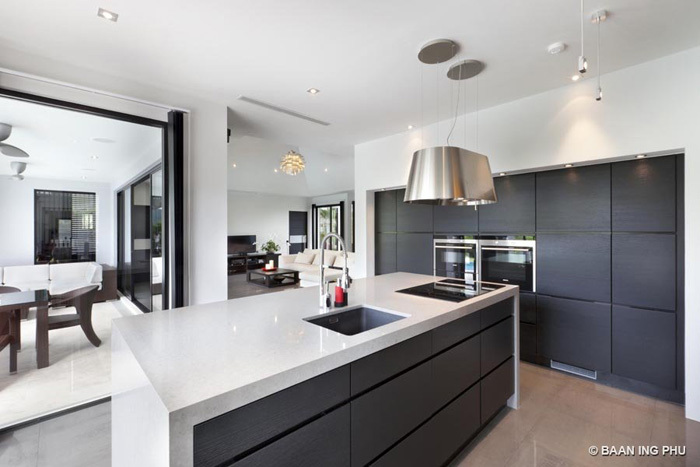 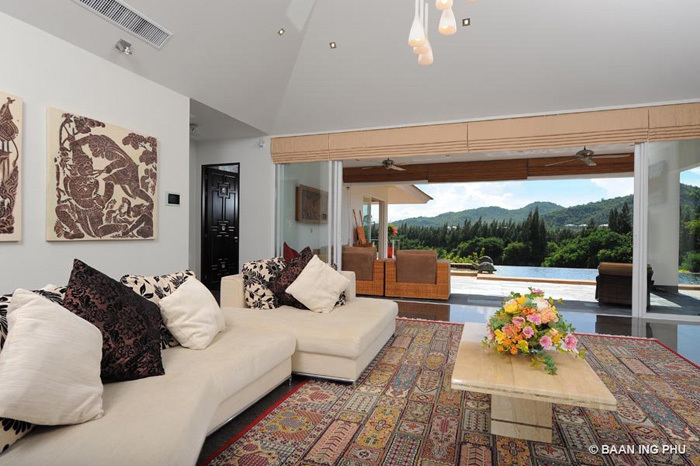 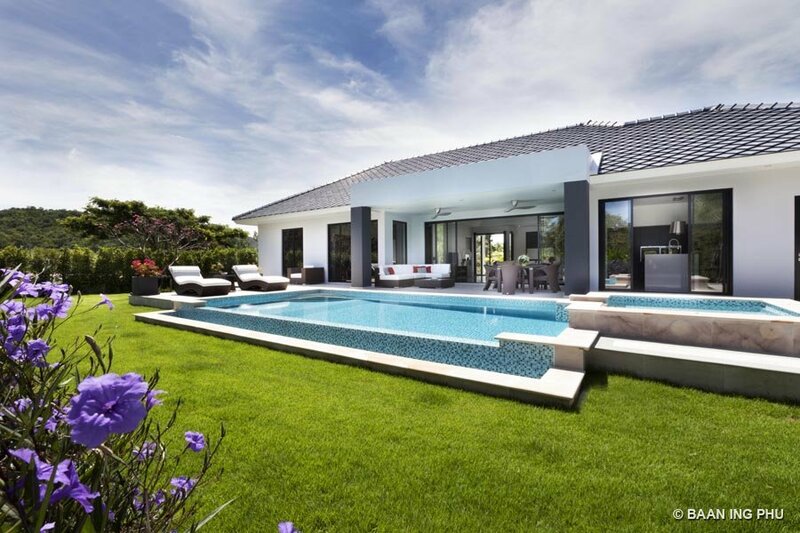 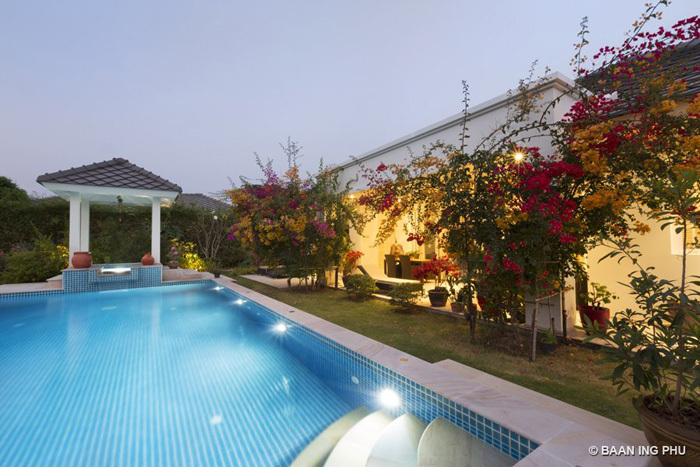 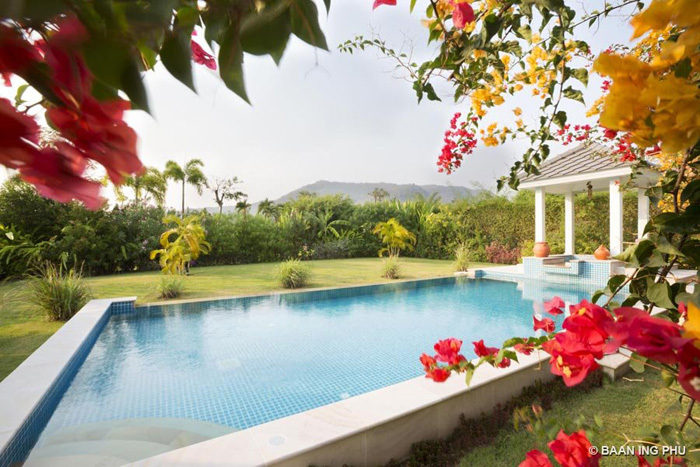 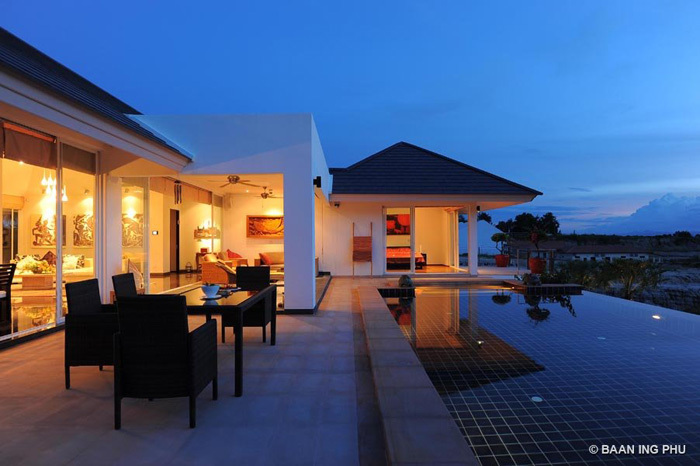 It is a private escape where discerning home owners can be assured that their needs are looked after. 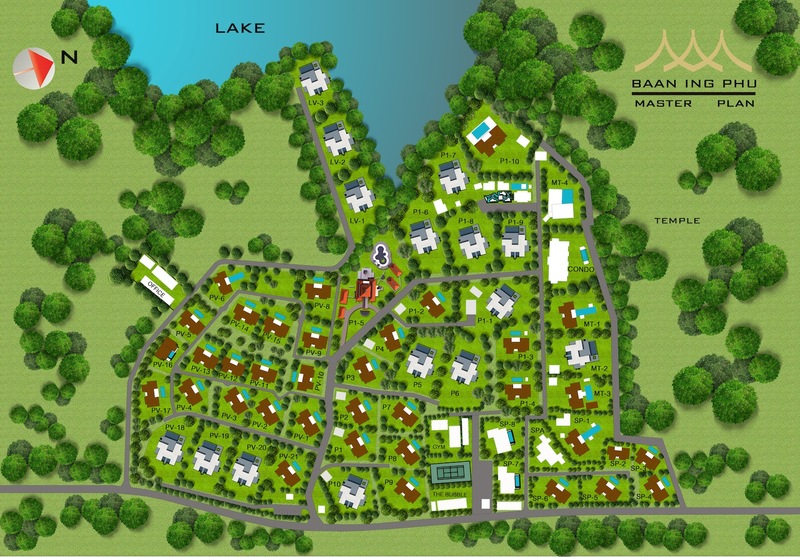 The overall concept has a luxurious resort ambiance in a relaxed stress, free environment for people who expect exceptional living standards. 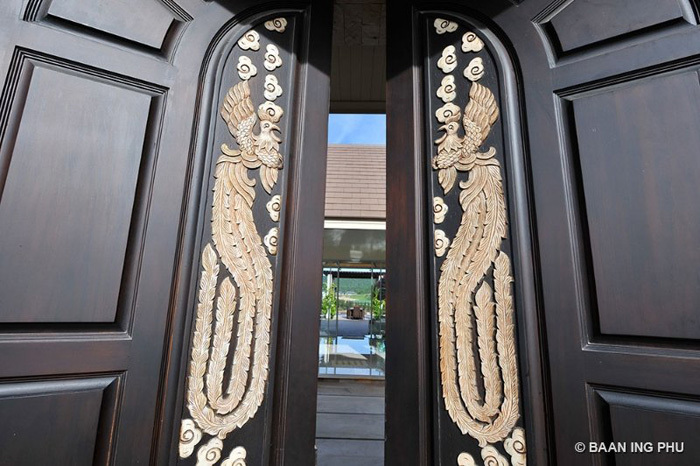 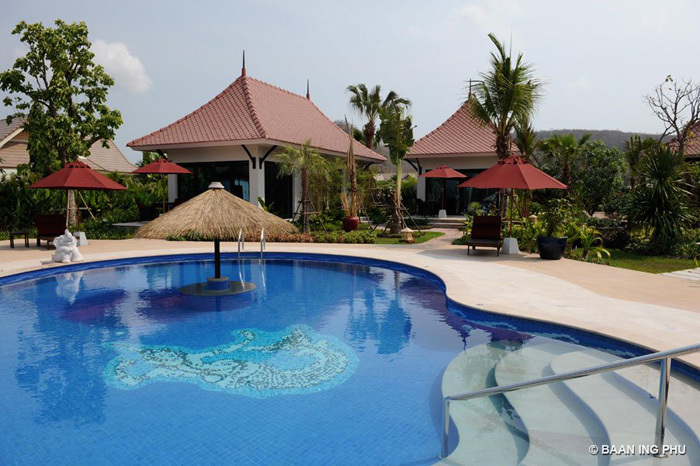 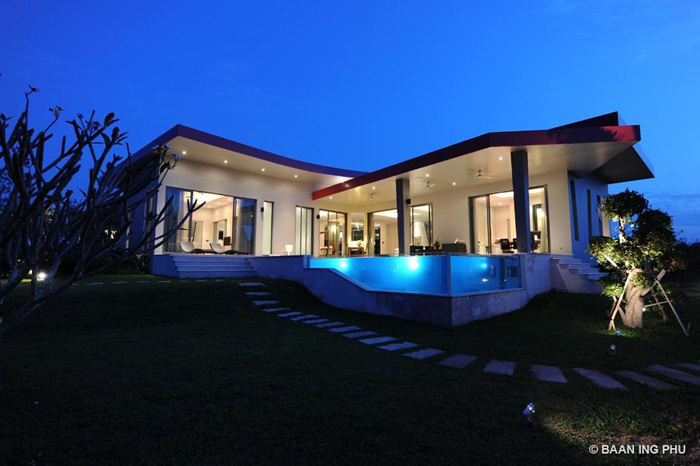 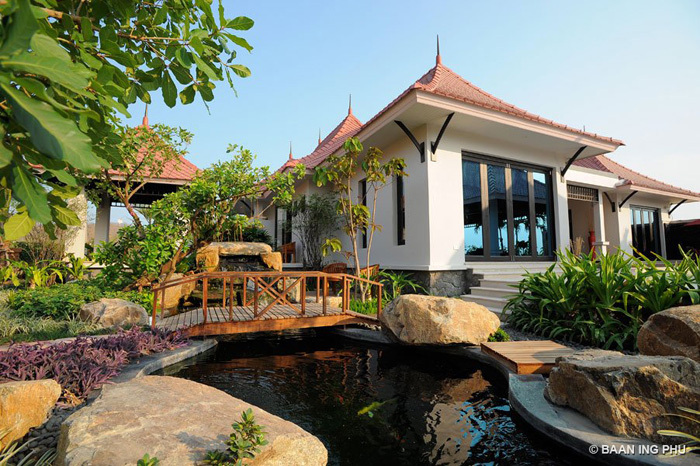 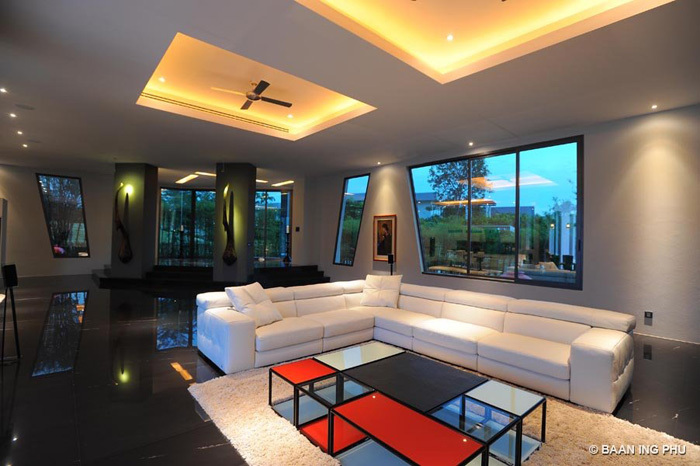 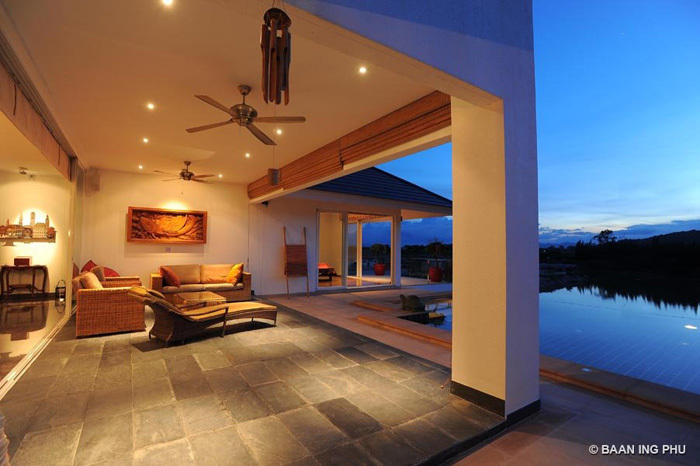 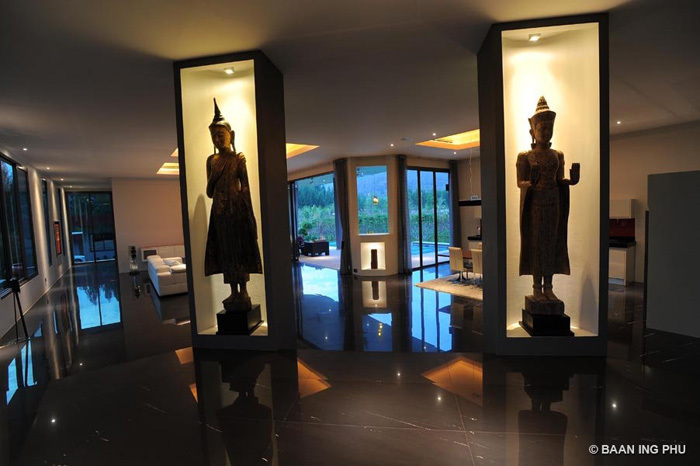 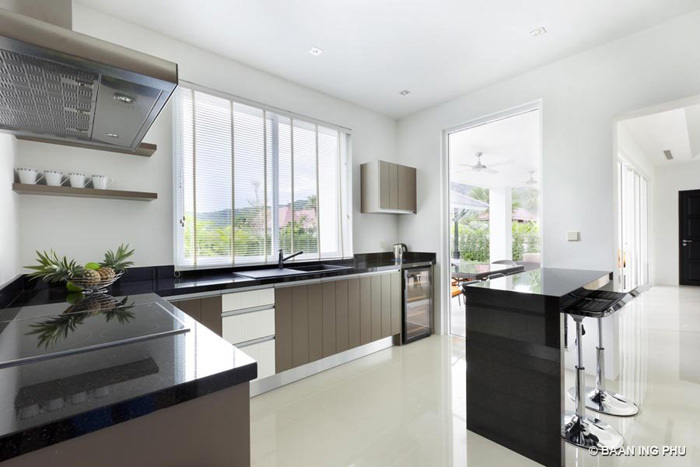 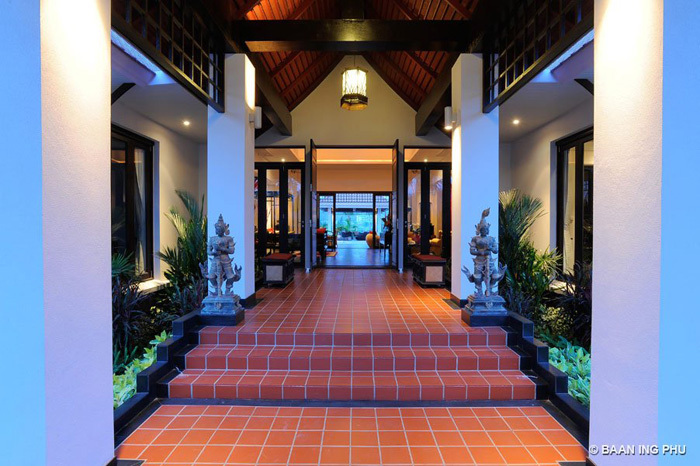 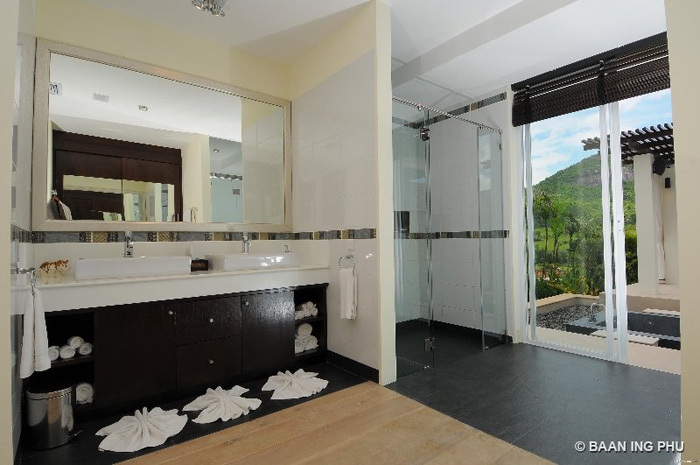 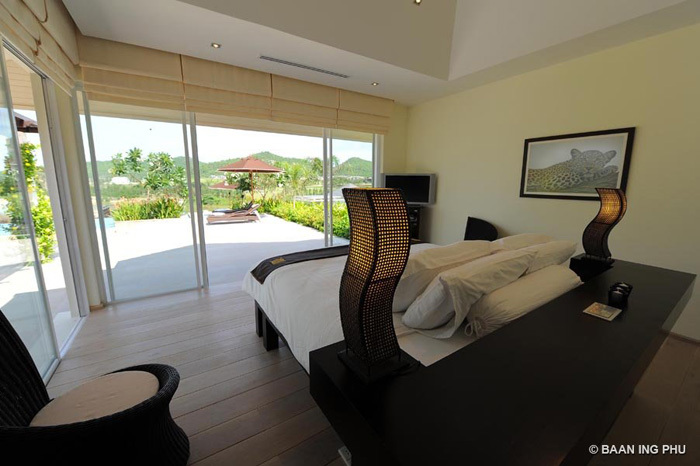 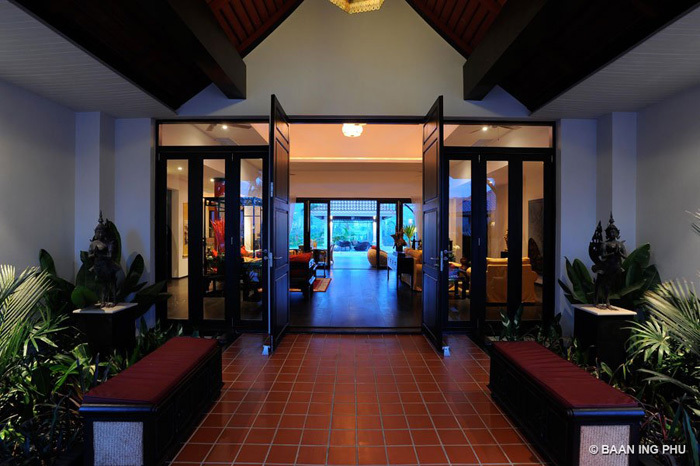 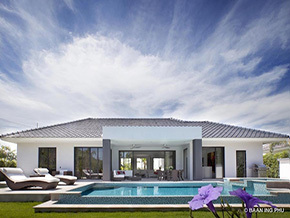 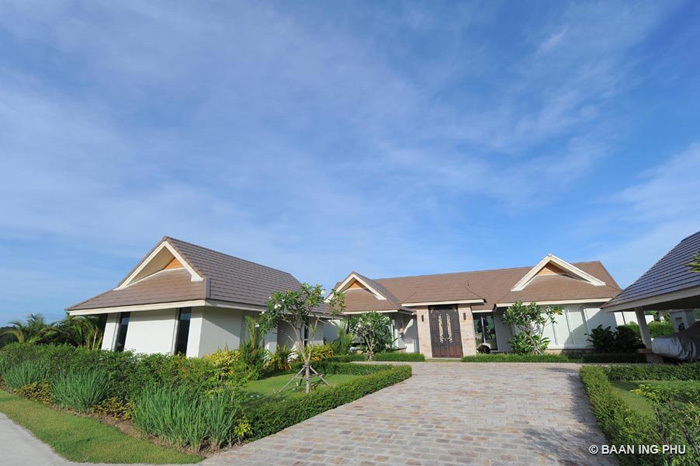 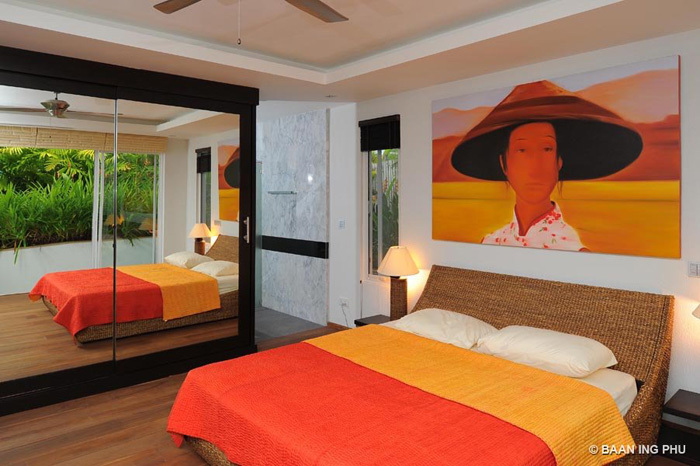 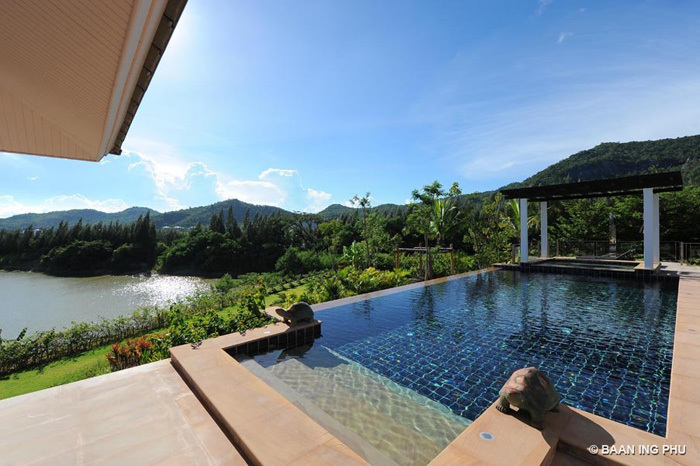 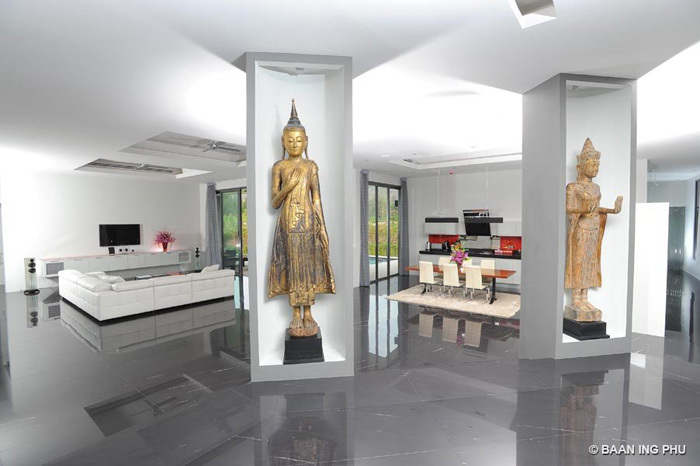 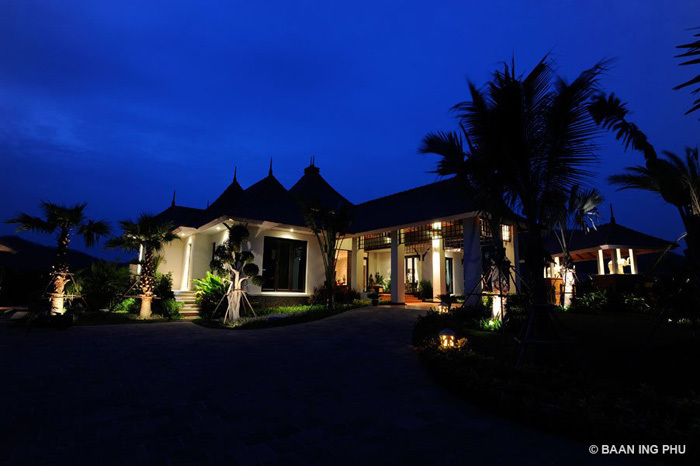 The Park Villas are the most popular type of villa at Baan Ing Phu. Our Park Villas are created in a lush resort style with spacious common garden areas. 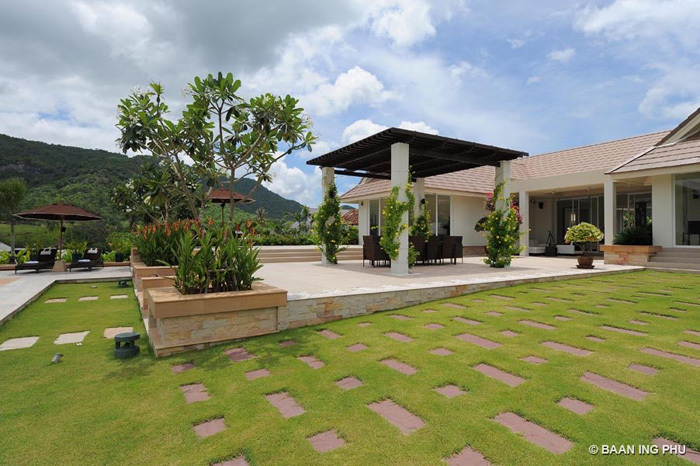 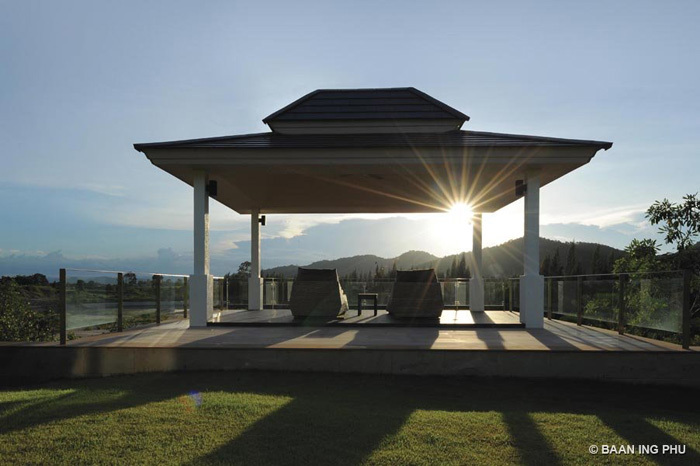 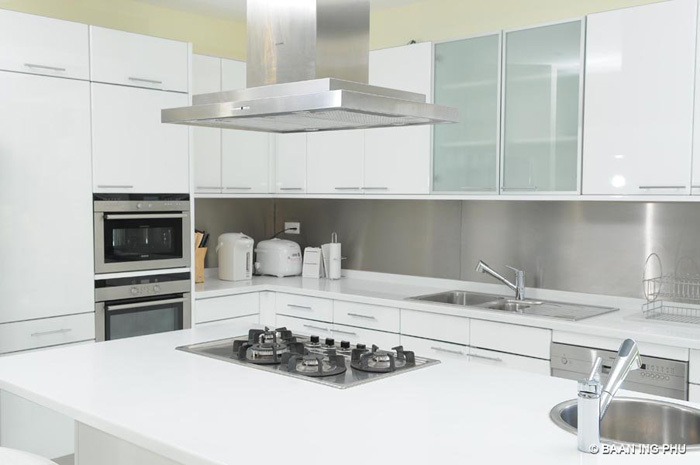 The plot size for Park Villas varies between 650 and 1,500 Sqm. 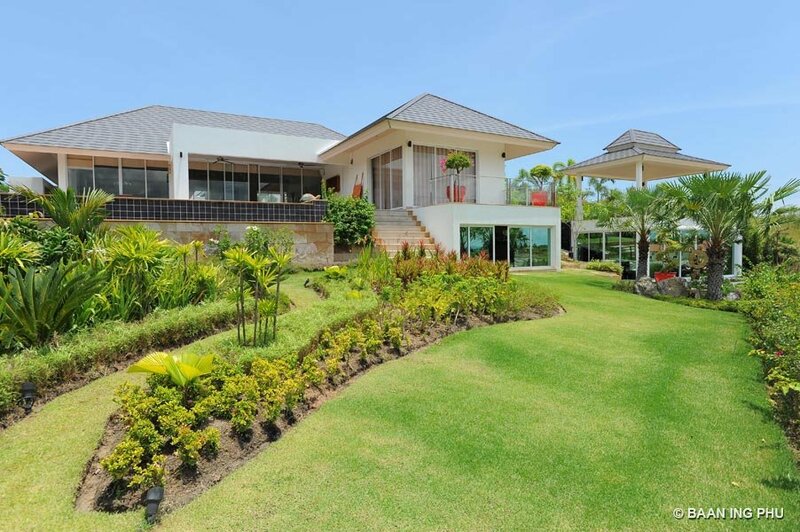 The Villa Boreas offers homeowners resort-style living with modern comforts. 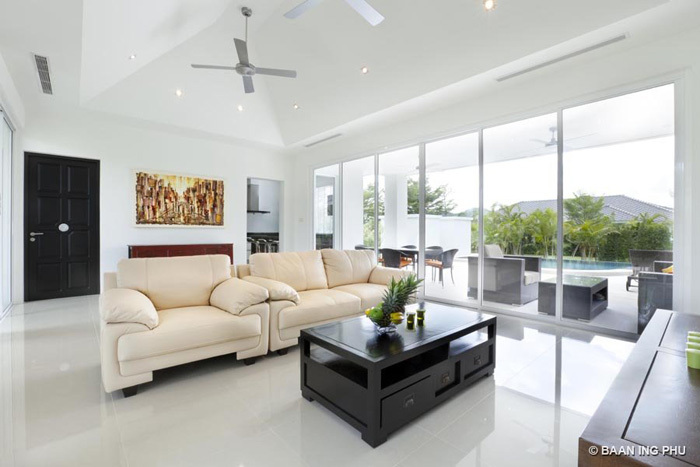 They are built in a tropical style, with modern elements, and high ceilings, high doors and many large windows which provide plenty of natural light to make the rooms bright and spacious. 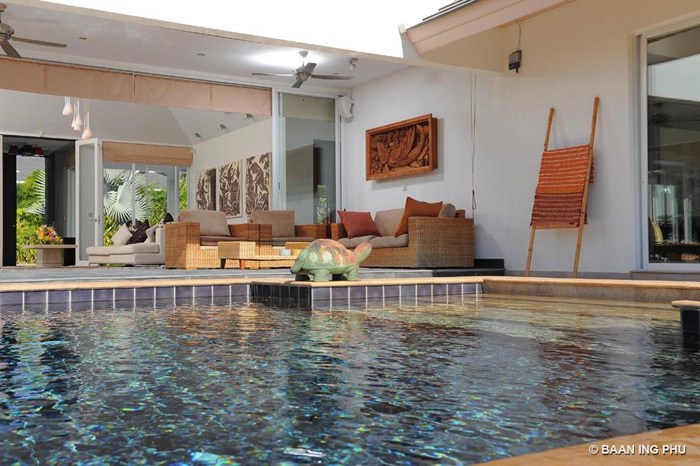 Thailand’s wonderful tropical climate has been incorporated into the design of all of our villas and residents appreciate the deck areas, covered verandas and cooling swimming pools. 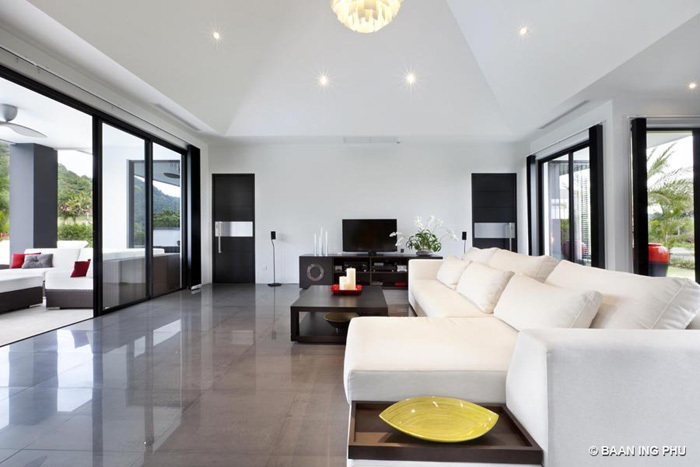 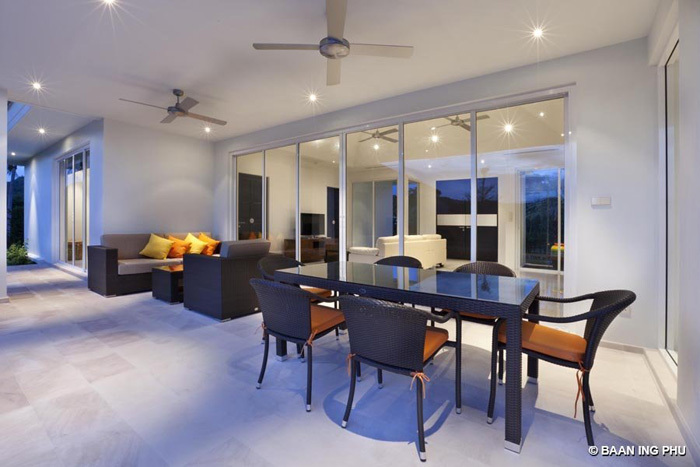 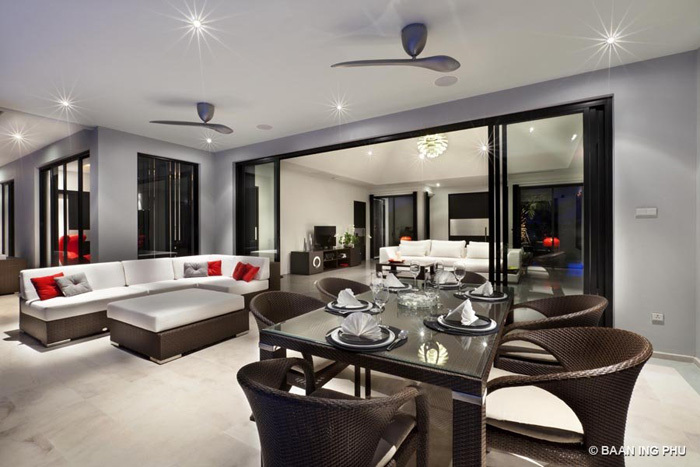 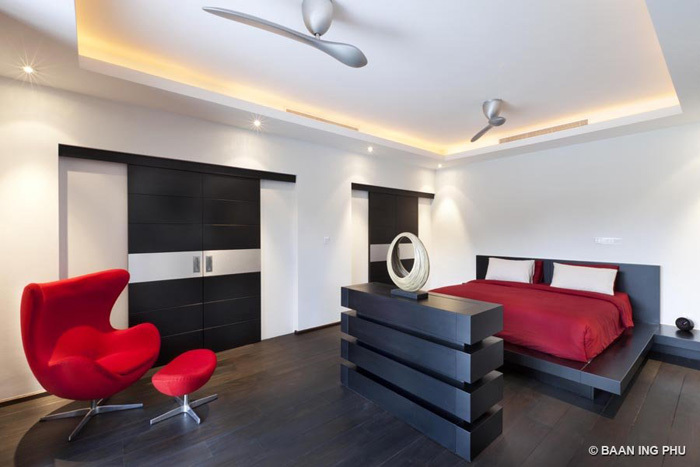 With the large sliding doors in the open position, refreshing breezes keep the rooms airy and temperatures comfortable. 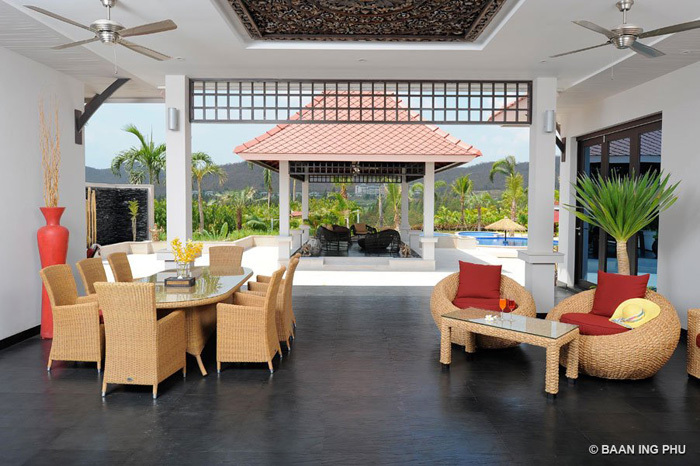 This villa is very spacious with several covered and open decks. 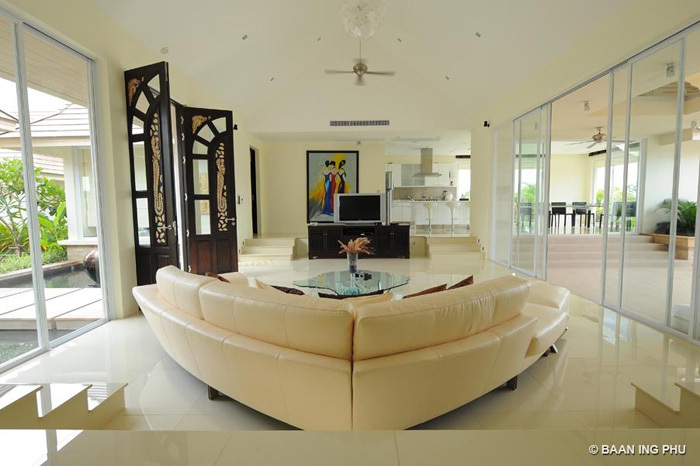 The Villa Boreas offers both luxury indoor and outdoor living. 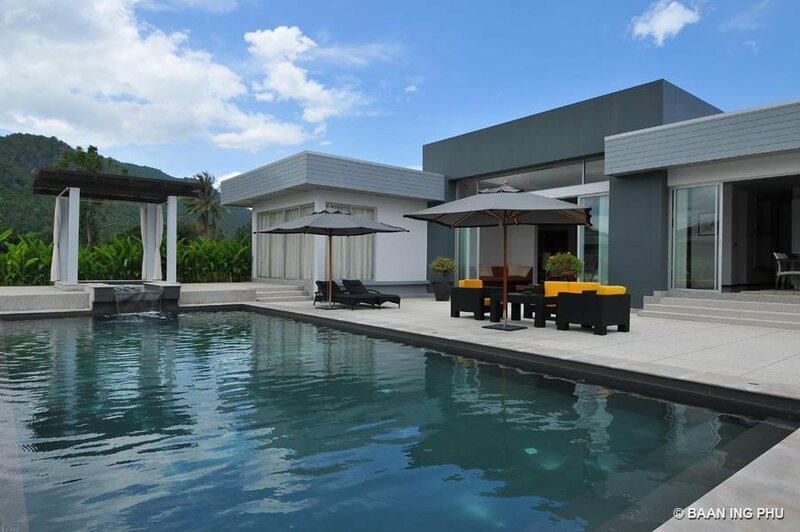 10 Minutes West of Hua Hin town, very close to Black Mountain Golf Course and a short drice to lots of shops and resturants.